Struggling to discover your life purpose? Feeling disconnected from life – and yourself? Attracting the same dysfunctional relationships time and time again? Living in a constant state of anxiety and fear? Intuitively know that life can be so much more – but not sure how? What if I told you that you have access to all the answers you are seeking about love, life purpose, your divine gifts and so much more? Like each of us on this human journey, most likely you too, have spent many years looking outside yourself for the answers you sought. As you do so, you take on layers of false beliefs, traumas and wounds that separate you from the truth of who you are and those layers act as an energetic block or veil that prevent you from accessing your Intuitive Power (inner wisdom). Does this scenario sound familiar? You’ve spent years working on your personal development, most likely you’ve filled pages with affirmations, attended numerous workshops, read hundreds of books and possibly even created a vision board or two – but the change, if any, never seems to last. You continually find yourself in the same pattern or circumstances whether it is related to finances, relationships or self-worth. Why? The answer is simple, yet powerful. Until you clear and heal the layers of energetic blocks on an energetic and spiritual level you cannot experience the manifestation of what you desire. Don’t get me wrong, all those tools can be powerful, but lasting change can only come from clearing the layers that are keeping you separate from your Truth. You’ve found your way to this page because you’re ready to shift your energetic patterns, clear and heal your trauma and catalyze your dormant gifts and live from a place of lightness, joy and authenticity. That’s right – within each and every one of us – including YOU lie the answers to the questions you ask. The sacred keys to living a life of joy, passion and abundance are known as the chakras, which I refer to as your “Wealth Centers”. I began referring to the chakras as Wealth Centers after years of intuitively and energetically connecting with my clients, tuning into their chakras and discovering the wealth of sacred information that they held that allowed me to facilitate their healing. In our 4 week journey together, I will work with you by connecting with your energy field I am able to ‘shine a light’ into each of your Wealth Center’s to illuminate your inner riches, gifts, talents, strengths and dormant life purpose and gifts. I am also able to see the blocks in each of your Wealth Centers caused by the layers of false beliefs, traumas and wounds you’ve been carrying. It is these energetic blocks or false beliefs appearing in one or more Wealth Centers that are manifesting the results you are experiencing in your outer world. Depending on the Wealth Center(s) affected by the block you’ll find yourself continually struggling with same relationship, health, success, life purpose, or inner worth issues over and over again until you heal those blocks on the energetic level. There are many people today seeking prosperity, health and happiness and there are good reasons for this. We are living in difficult times where fear is likely to become the number one cause of illness and there appears to be many things to fear–unemployment, war, terrorism, disease, and so on. Given that, I found Anne’s new book, Extreme Intuitive Makeover: 55 Keys to Health, Wealth, and Happiness, to be a genuine breath of fresh air. Anne has brilliantly woven spirituality, science and practical exercises on her loom unfolding success strategies that will absolutely make a difference in your life! Highly recommended! I highly recommend Anne Deidre’s new book, Extreme Intuitive Makeover, to anyone on a path of personal growth. I was inspired by Anne’s insights. She speaks and writes about Truth of the highest order. Her 55 keys designed to assist you on your Life Path, along with some potent practical exercises are certain to bring you results. Don’t miss this opportunity to greatly enrich your life. I met Anne last year fall for an intuitive reading and I was absolutely amazed by the experience. Her loving presence made it so easy to feel comfortable and safe with her. Her energy and chakra clearing brought powerful healing that penetrated my very being and life in a way I never expected to experience. She is now my Intuitive Coach. As my Intuitive Coach, Anne has helped me to feel so much better about myself and my own intuitive abilities. With the tools she provides she also helped me to take ownership of my own life. Having Anne as my intuitive coach has proven to be a powerful asset, especially when you need support in your spiritual journey. Anne genuinely and lovingly wants to help you. With all of her knowledge, insight, understanding and her powerful abilities you won’t be disappointed. She can help you bring back love and laughter into your life. I highly recommend her to everyone. Anne, you are truly amazing and a blessing to all. May you have many blessing to you and yours. The insights that Anne channeled were nothing short of astounding, and the entire experience uplifting and heart opening. As strange as it sounds to me as I write it, I have found a new lightness in my being. Forgiveness – the place to begin to resolve so many of our self-induced limitations. I would recommend Anne to anyone wanting to clear their chakras and find new openness, understanding and peace. I have worked with Anne for the past 2 1/2 years and have learned so much from her intuitive coaching & classes. She is a Master Teacher and extremely gifted in her Intuitive abilities. Anne brings an energetic support to your life that helps you to overcome limiting beliefs and sabotaging patterns. She is able to envision you living your greatest dreams, and gives you the tools to help you reach those dreams! Anne is a pioneering Vibrationl Catalyst in this field of Energy & Vibrational Healing. I highly recommend her coaching or classes if you need that extra edge to help you create your Highest & Best life! Anne sets the foundation of important spiritual concepts at the soul level in her monthly coaching call. Invaluable and extremely powerful! She is completely committed to her work as a mystic and spiritual teacher. Learning does not end at the click of the phone. I love it that Anne provides more opportunities to spread my wings of knowing and to grow by offering an online group to support and provide greater tools of insight to the Divine realm. This group has been instrumental in allowing me to interact with Anne and others to see deeper into my soul and to provide me with endless opportunities to address hidden things that do not serve my highest good. Absolutely love it! Thank you Anne I see the light. Love you with all my heart and soul. Sometimes we are blessed to be connected with one who genuinely wants to make a difference in the lives of others. Anne is that connection, that blessing, that encouragement, that gift in my life. Thank you, Anne, for accompanying me on my journey of awakening, liberation, and growth. You are a source of great encouragement and knowledge, always so willing to freely share what you intuitively and instinctively know, as well as lessons and experiences along your own journey. I have challenged and conquered restricting, non-productive beliefs and am so very much looking forward to what the future holds. It is an honor to work with you as I reach even higher pinnacles of growth, awakening, learning, and achievements. Working with Anne has given me the confidence to shed all the expectations and responsibilities I had taken on of others and given me insight, support and courage to be my true self. Her books are a wealth of encouragement for anyone feeling there is more to their life than what they are living! Anne uses her intuition to raise my awareness about my past and future. She then provides the tools, guidance and encouragement to open me up to new ideas and how to implement them for success. She is TRULY gifted and helping me to be my best self! Anne is a knock-out soul reader and intuitive coach, I can’t recommend her highly enough, because I think she’s simply the best. I’ve known her for many years and have had the pleasure of watching her nurture and develop her talent and grow into a giant in her field. She’s the one I turn to when I need assistance, and because of her great gift and accuracy I decided to train with her myself. You will love working with her! Since I started working with Anne, I have shifted & cleared out old limiting belief patterns that have kept me stuck for most of my life. I feel like the weights are now lifted off of my feet & I am ready to SOAR to new heights! I am eternally Grateful for all of the help, guidance and teachings that Anne has shared with me. She has equipped me with very effective energetic “tools” to use & share with others, to help them shift too! She is an amazing teacher and a huge inspiration in my life! I love watching Anne use her intuitive gifts to peel away her client’s layers of inner pain and illusion to find their inner light of joy and revelation. It is so beautiful as I can feel the emotional relief from her client’s heart. A truly blessed moment. Watching Anne’s show has enabled me to deeply reflect on my inner self and heal my hidden wounds. Thank you Anne! You are amazing!! Anne Deidre effectively engaged a shift in perception for me at a most basic level on an issue that has plagued me for years, even with my own healing abilities. I HIGHLY recommend Anne for any issue you may have. This is one class you won’t want to miss out on. I completed this class last year and it was AMAZING. My life has changed for the better and so has others because of it. Much love and thanks to you Anne for being so brilliant!!! Yesterday was my weekly session with Anne and we went through and cleared my chakras. It was totally amazing for me. The opening of my crown and feeling of euphoria was something I will NEVER forget. I highly recommend this! The chakra clearing coaching method was very efficient to experience, learn and valid totally. I really recommend that training-certification with Anne Deidre. Anne is sharing an experienced intuitive gift, very special intuitive tool helping deprogramming obsolete memories of the past, clearing our chakras for joining their best happy powerful vibrations and learning how to use it in our own self intuitive coaching. As a professional coach for 20 years, I felt very blessed and happy to discover and practice with Anne Deidre in her Intuitive Coach training. Anne has a real open heart and mind, a beautiful lady. Anne’s Intuitive gifts along with her writing skill has drawn out of me new gifts, and given me voice through the written word. Anne is a true gift to the world. It was not until I was united with Anne Deidre by Divine providence that I was able to create the right ingredients to open my unique talents and gifts. Anne is amazing! With complete ease Anne was able to look into my soul and see my Divine purpose. With mystic grace, Anne then was able to open my channel to creativity and other hidden talents. What a WOW!! Let me say that again… WOW! Because to my surprise, I found out that I am talented intuitive photographer and writer. My whole life has changed in the most marvelous ways. My heart sings with love and joy. I now have inner peace, happiness and clarity. A gift that is priceless. At last! I am on the highway to Heaven and all my dreams are manifesting into reality now! Endless gratitude to you Anne! Your love and compassion and spiritual gifts have transformed my life forever. Love you with all my heart. All my dreams are coming true today! I am so delighted for the opportunity to be part of Anne's Inner Circle Chronicles book 5. Not even one month into the program, I have already felt such powerful shifts in my energy while listening to the 6 Steps for Creating Intuitive Wealth audios. The audios are incredible and profound. The content of these audios is beyond anything I could have ever imagined. Anne provides amazing guidance for creating and visualizing a 6 figure and beyond business. Before I started the program, I just wasn't sure how to turn my gifts and talents into a business. Anne's program has helped me bring clarity and vision to my ideas and helped me intuitively create amazing ideas for a new business I will be launching soon. I am ecstatic about the remaining materials in this program and can't wait to expand and grow even more during the remaining 5 months! Anne is a truly gifted intuitive and heart-centered coach. Her ability to "energetically see" and "intuitively know" what her clients need most to help them manifest their authentic passion and purpose is unparalleled and unique. She is an angel on earth helping make dreams come true. I have met Anne Deidre about a year ago and I can tell you she has completely changed my life. With Anne's ability of being an Intuitive Life Coach, she has helped me find my hidden talents and strengths, which include being Psychic, very Intuitive and without Anne's guidance, I would of never have known that I am an Animal Communicator. When she talks to you, you know that she is in the present moment and listens to all of your questions and concerns, which was very important to me. I have taken Anne's Intuitive Life Makeover course, Angel Card Reading course and now I am in her Book 4 club. Anne has a huge heart and it shows and she was very supportive and gave me the confidence I needed in myself. I would highly recommend Anne as an Intuitive Life Coach. You will learn so much from her and also have fun at the same time. Wow, I know Anne was good, I didn't know she was this good. Phenomenal readings, wonderful energy and clearings, listen to the replay yourself and be amazed at this gifted and talented teacher. What a beautiful energy Anne is! Such a gem. Anne is such a perfect model for how to fully embody your talents and gifts and light up the world. She shares how, like so many of us, she went from “Dark night of the Soul” to finding the Voice of intuition inside and being led deeper and deeper into her gifts. WOW, wow wow!!!! It was SHOCKING how accurate Anne was with the audience. She simply ZEROED in on exactly where the block was. Amazing! And she read a special oracle card which is unique to this group ….don’t miss the powerful message from the Divine for YOU. The entire call is imprinted with POWERFUL energy frequency to clear blocks. "Back by popular demand....Anne's amazing energy clearings also created some massive frequency upgrades! She was one of the most popular speakers in June...find out why others reported amazing results from her clearings. Ready to Unlock Your Sacred Gifts? You are being called to heal at the deepest level so that you can serve the world with your unique essence, gifts and sacred wisdom in a way that only you can. When you unlock the wisdom contained within your Wealth Centers you will discover powerful tools to access your intuition, purpose and inner well-being and will have awakened your Intuitive Power. 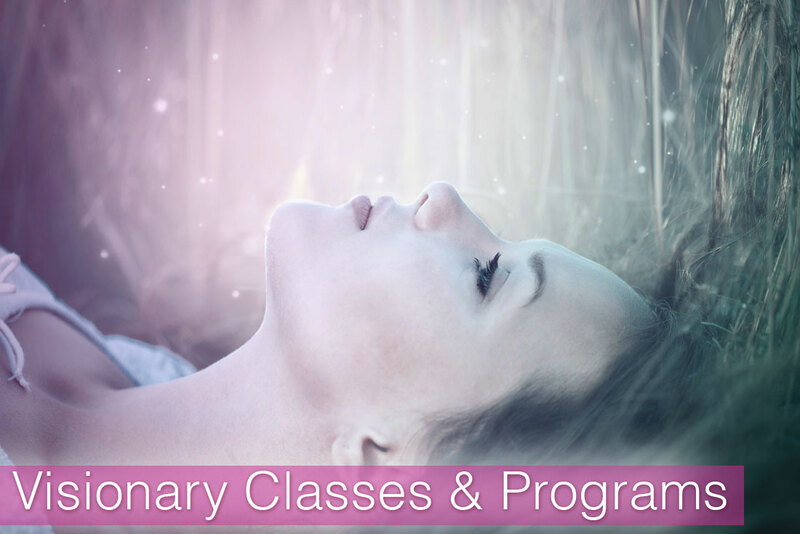 I invite you to join me for the transformational 4 week Awaken Your Intuitive Power coaching program which is customized to where YOU are on your journey and the specific energetic blockages YOU are experiencing. During our four week journey together I will energetically tune into each of your chakras to uncover the blocks, traumas and false beliefs that are sabotaging you and keeping you from thriving in every area of your life. During that process I receive messages, images and/or phrases related to each of your Wealth Centers which empowers me to facilitate the realignment of your energy centers. Your Awaken Your Intuitive Power coaching program includes four (4) 55 minute calls held weekly for four weeks. 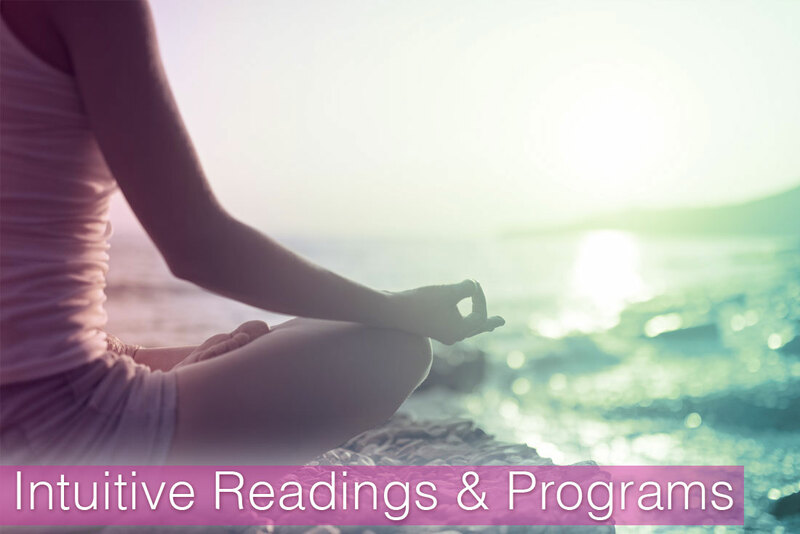 Depending on the messages received during a session you may receive ‘homework’ such as meditation, guided visualization, journal writing or other tool to assist in strengthening the clearing and healing work experienced in your session. Each call will be recorded so you can listen again and again to the divine wisdom and messages shared. Time and time again, I’ve been blessed to witness miracles in my client’s lives after our work together to clear the energetic blocks from their Wealth Centers. Think of me as your Sacred Guide who connects with your Higher Self, empowering me to share your soul’s messages in order to facilitate your healing on an energetic level and reconnecting you to the truth of who you are.